« The Punch Down Episode Two With Guest Randall Grahm Is Next Week (Wed, Jan 23, 1PM EST)! 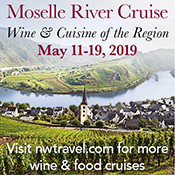 In between bites of grilled chicken pita BLT at Four Dogs Tavern a few weeks ago, I looked up across the table at fellow PA wine educator Bob Trimble. Chew, chew, chew. Swallow. Lift of the glass, sip, gulp. Smile. Those of you who hate the descriptor “yummy” when it comes to describing a wine can bite me; this was was f*cking yummy. We were drinking what Bob called “Joan’s wine” – a thank you gift to him for helping a friend sort through some older items in her wine collection. Our yummy lunchtime still treat was pulled out of its original cardboard box (remember when bottled wines came in those? ), and was “kept under the drapes!” and away from sunlight for a long time, according to Bob. 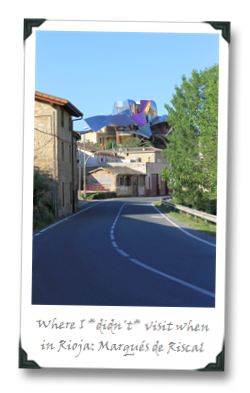 Marqués de Riscal is a long-time stalwart in a region that boasts no shortage of long-time stalwarts; the venerable Rioja producer was founded in the 1850s, and incidentally was somewhere I didn’t visit during my Rioja jaunt. 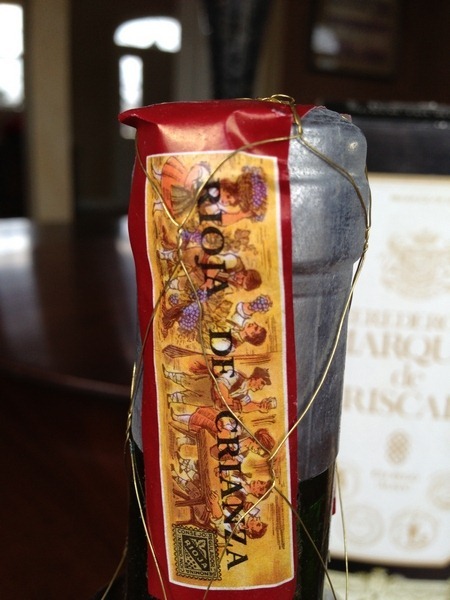 Anyway, shortly after its founding, MdR became the first non-French wine to win the diploma of honour of the Bordeaux Exhibition – the symbol of which adorns a large portion of the label of the 1979 Crianza that Bob and I were sucking down over lunch. 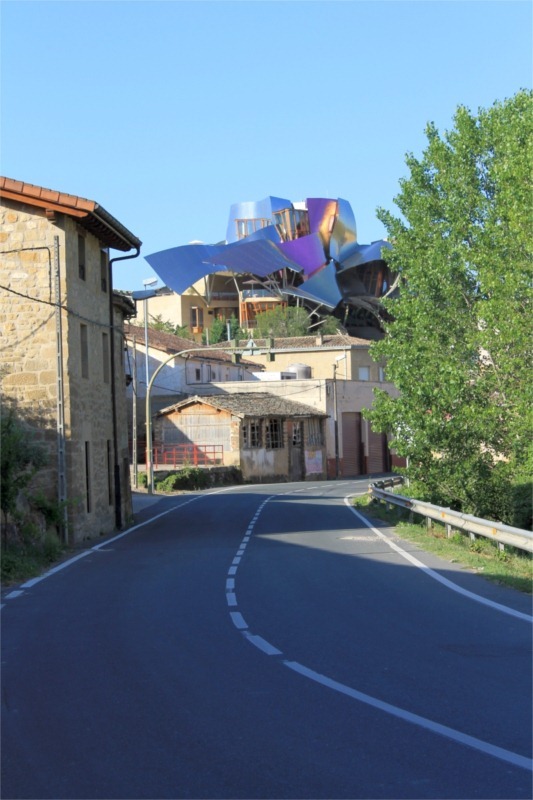 Now, MdR might be better known for controversy and looks than for its wine; to say that the metallic swoops of its Canadian architect, Frank O. Gehry designed City of Wine building (replete with a luxury hotel, spa and Michelin Star–awarded restaurant) “stand out” amid the rusticity of the Rioja landscape would be like saying that I “might get noticed” if I showed up naked at the next Auction Napa Valley event. A fair amount of controversy did (and still does) erupt over that now modern landmark. But our lunch beverage was going back to a time before all of that glitz and glamor. 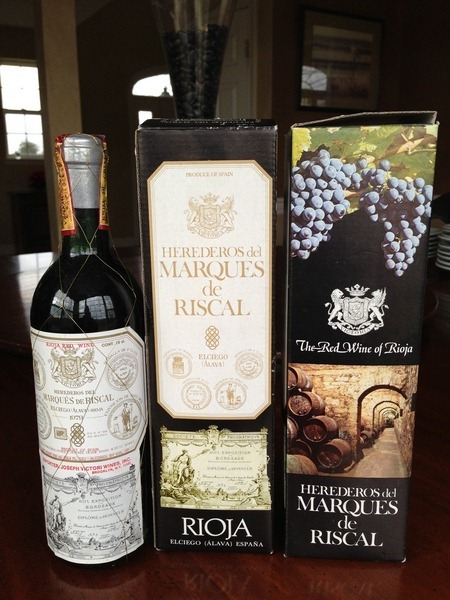 And to a wine that they don’t really make anymore – either at Marqués de Riscal or even in general throughout Rioja. 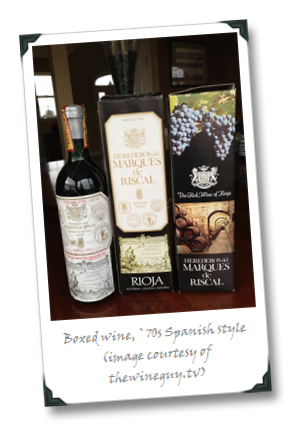 Crianza wines are, of course, still made in Rioja (even if fewer than ever are actually labeled as such, instead favoring a simpler reference to Tempranillo), and many of them very, very good. But… many of them are also made in a quite modern style, now; a style fit far better to early consumption than to 30+ years of cellaring. 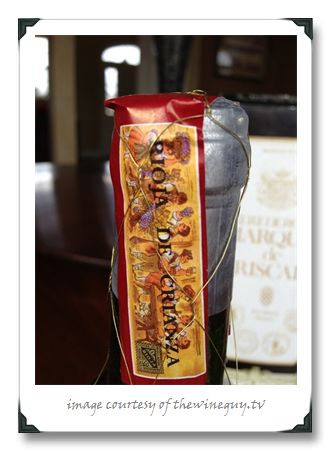 I know because I’ve tasted a good many Crianzas that, after a few years in bottle, just tasted… tiiiiiiiiired. A nose full of oddities, at least as far as Criazas are usually concerned: at first it was all “earth tones” and “forest floor,” like wet leaves and Autumn days. Gamey, too, with something almost animal about it, as if you’d stumbled up on a road accident in which somebody had just hit a deer with their car. There was lovely herbal action on top of it all, though… so somebody hit that deer but it fell into an herb garden. This wine was still vibrant; balsamic, currants, a good deal of red plummy fruit on the palate and it definitely still had acidic pop. I kept thinking, “when is this going to turn into vinegar?” But after nearly four hours open, it showed absolutely no signs of slowing down whatsoever. Bob and I did a good deal of approving head-nodding, and damn-near-disbelief head-shaking as well. And at the risk of venturing into Old Fart territory (yeah, why not, both Bob and I are sporting gray hair), I suppose in some cases they really don’t make them like they used too. 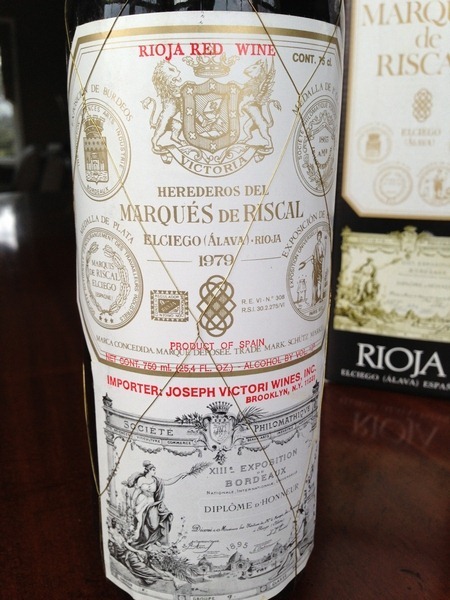 '79 was a great year in Rioja. 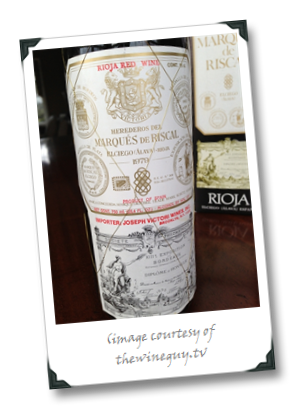 Even so, it's great to hear the yummy report for the ancient MDR crianza. Thanks, Rich – apparently great enough to impart a ton of verve even into the low end! Let's meet in the middle. Share it? Cheers!